TRUE LOG CABIN- Wow amazing large log beams as you enter in the great room with an open floor plan. Vaulted ceilings with 2 story stone woodburning fireplace.Custom cabinets, granite countertops, hammered copper sinks, Anderson windows and sliding doors. Gorgeous wood floors in this 4 bedroom 3 full bath house. 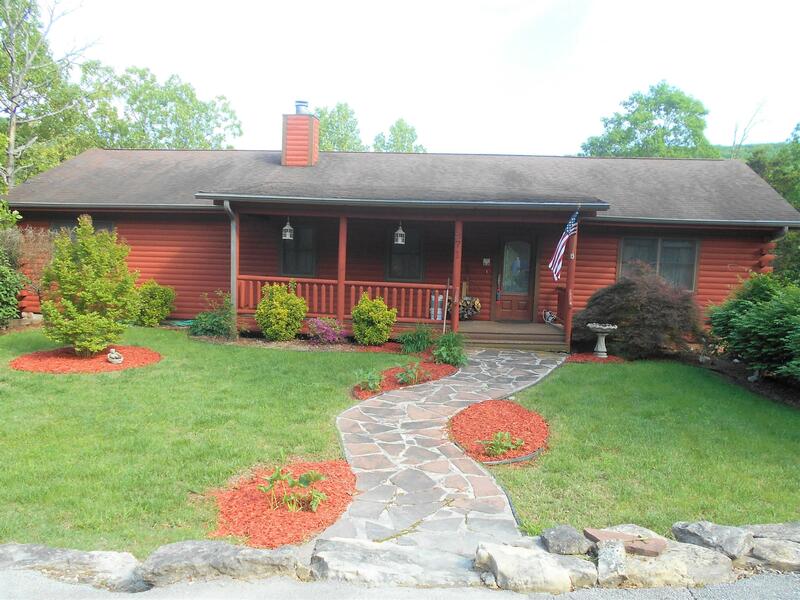 2 large covered decks with a hot tub and amazing views of a stream and wooded 3/4+ acre lot. Sit on the deck and watch the turkey and deer in the wooded area. 2 car oversized garage with work area.